Aadu Must, an Estonian politician and the University of Tartu’s first Professor of Archival Studies, turned 65 on 25 March. When he went to study history at Tartu State University in 1973, Must initially proceeded along the paths of settlement history under the supervision of Professor Herbert Ligi. Over the years, the range of topics that he has dealt with has grown a great deal, encompassing family and local neighbourhood history, the colonial policy of the tsarist empire and Soviet repressions, the Estonian diaspora and Baltic German compatriots, and much more. After completing his basic university education, Must became Professor Ligi’s assistant at the university, a lecturer at the Department of General History, and later senior lecturer (1976–87). The history of the factory and town of Sindi, located in the vicinity of his home in Pärnu County, emerged at the centre of his attention, culminating in the completion of a monograph on this subject in 1985. At the end of the 1980’s, Must actively set about having his say in the ensuing political struggle, participating first in the Estonian Popular Front. He also worked for six months in Stockholm in 1991, setting up the Republic of Estonia’s information bureau there, which developed into Estonia’s embassy when the country’s independence was restored. Upon his return from Stockholm, he continued his usual work as a university lecturer while also continuing to participate in politics as time permitted, this time as a member of the Estonian Royalist Party. Since 1996, Must has been active primarily as a leading member of Estonia’s Centre Party, serving as a member of its council and board of directors, and as head of the party’s Tartu section. Must has also served as chairman of Tartu’s municipal council in 2002–07, 2009–11 and 2013–15. The intervening time periods have also included work in the Estonian Parliament, where he has served primarily on the cultural commission. At the same time, he has consistently continued his work at the university, where he built up and headed the Chair of Archival Science (1993–2014) and also served as head of the University of Tartu History Department in the interval 2004–06. In the 1990’s he completed a monograph of Estonian family names, which was issued on CD-ROM as an electronic publication (Corpus Nominum Gentilium Estonicorum). Aadu Must subsequently wrote out his broad knowledge and experiences of the study of family and local neighbourhood history in systematised form, publishing in the year Sources for the Family History of Estonians, a book providing instruction on historical sources. A new, updated edition of this book with a somewhat more popular and less academic approach (Handbook for the Researcher of Family History) was published in 2014. In the 1990’s, Must also began researching the repressive policies of the Soviet regime. Of his students, Aigi Rahi-Tamm defended her doctoral degree in 2004 (Post-Second World War Mass Repressions in Estonia: Sources and State of Research), Lea Leppik defended her dissertation in 2006 (Social Mobility of Employees of the University of Tartu in 1802–1918), and Indrek Paavle defended his doctoral dissertation in 2009 (Sovietisation of Local Administration in Estonia 1940–1950). Aadu Must is without a doubt the prime expert on Estonia’s archives and on archives concerning Estonians. As a historian and professor of archival studies, he has always been concerned by the condition of archives and access to historical sources. As a politician, he has time and again stressed the importance of the archive as an attribute of state. Must was one of the persons who drafted Estonia’s Archives Act. The gathering of material related to Estica in both the east and the west, however, has become his biggest project. This undertaking that has expanded from its initial form as the history of the fate of repressed Estonians to the current more general research of the diaspora of Estonians and persons from Estonia in the former Russian and Soviet empires has taken him to archives in St. Petersburg, Novgorod, Pskov, Tomsk, Omsk, Irkutsk, Krasnoyarsk, Vladivostok, Kazakhstan and elsewhere in Russia. All of this has placed an extensive base of sources at his disposal for planning and carrying out large-scale research projects. 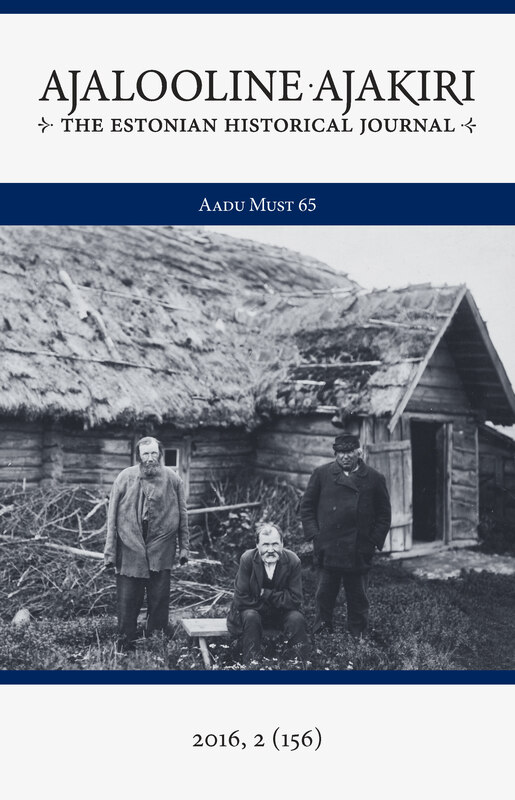 In recent years, many substantial studies have started emerging from Must’s pen on the history of Estonian settlers and settlements, Estonians who made careers in Russia, and Baltic German compatriots who shaped the Russian Empire’s colonial policy. Starting up the Kleio periodical for historians in 1988 is also part of the enumeration of A. Must’s accomplishments. Ten years later, Kleio restored itself as the successor of the Ajalooline Ajakiri (Estonian Historical Journal) that was first started up in 1922. Must was also part of the group that relaunched the Akadeemiline Ajalooselts (Academic Historical Society), which had been shut down in 1940.